The librarians on the BLS Library staff are members of several professional organizations that meet annually for professional development, information sharing, networking, etc. The most important aspect of these meetings is to learn about new developments and resources from legal technology and and legal research vendors, and to bring that information back to our constituents: Brooklyn Law School students and faculty. This has been a particularly active year, and below is a summary of the organizations we belong to on behalf of Brooklyn Law School, and the meetings we attended or will attend in 2017. Association of American Law Schools has a membership of 179 law schools. Their mission is “to uphold excellence in legal education and improve the profession.” Its annual meeting presents programs, offers mentoring for new faculty, and is a resource for discussions on legal issues. Library Director and Professor Janet Sinder attended the AALS meeting in San Francisco in January 2017. The theme was “Why Law Matters,” featuring over 250 sessions with hundreds of speakers covering a wide range of legal topics. American Association of Law Libraries has over 5,000 members who work in law school libraries, law firms, corporations, and government libraries at all levels. The goal of AALL is “to share knowledge of legal resources, promote the profession, and provide leadership in the legal arena.” This year’s annual meeting was held in Austin, TX in July and the theme was “Forego the Status Quo.” Topics ranged from “Attorney Research Skills: Continuing the Conversation Between Law Firm and Academic Law Librarians” to “How Artificial Intelligence Will Transform the Delivery of Legal Services.” Reference Librarians Kathy Darvil, Loreen Peritz, and Eric Yap attended, along with Cataloging Librarian Judy Baptiste-Joseph, and Library Director Janet Sinder. Center for Computer-Assisted Legal Instruction is a consortium of U.S. law schools that provides legal educational resources to help law students succeed. 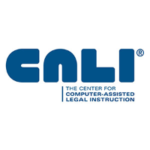 CALI has produced over 1,000 interactive tutorials covering 40 subject areas that are available to students in all member schools. 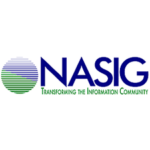 Their annual conference was held in Phoenix, AZ in June with Reference Librarian Harold O’Grady attending. The topics offered ranged from artificial intelligence to video technology. KOHA is the open-sources software the Library uses for acquisitions, serials control, and cataloging. This year’s conference of the KOHA Users Group was held in Coeur d’Alene, Idaho in August and attended by Acquisitions Librarian Jeff Gabel. One of the many programs offered was “KOHA Toolkit: Enhancing the User Experience. 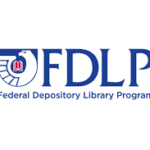 Federal Depository Library Program is a government program created to make U.S. government information available to the public through a network of designated libraries. 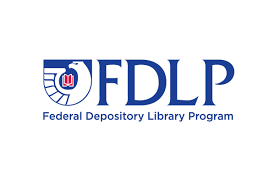 These libraries are called Federal Depository Libraries, and the BLS Library has been a Federal Depository Library since 1974, The FDLP program is administered by the U.S. Government Publishing Office, and there are over 1100 depository libraries; 127 of them are law schools. Linda Holmes, Associate Law Librarian, will attend the annual depository library conference in Arlington, VA in October. The keynote presentation at this conference will be given by Jane Sanchez, the Law Librarian of Congress. 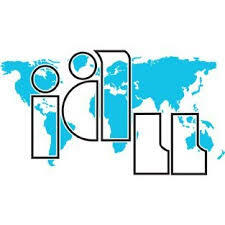 International Association of Law Libraries “provides an international forum for networking and information sharing among legal professionals worldwide.” IALL publishes the International Journal of Legal Information and offers an annual conference. Jean Davis, Associate Librarian for International Law, will attend this year’s conference in Atlanta, GA in October. As you can see from this brief survey of 2017 law-related library conferences, a very important element in these programs is the education and training of law students, and our goal by attending these conferences, is to assist them in learning both the breath and depth of legal resources. Written by: Linda Holmes on October 12, 2017.on October 13, 2017. This entry was posted in BLS Students, Library Info, Research, Training on October 12, 2017 by Linda Holmes.